It’s commonly recommended that all men no matter if you exercise or not should take a daily multivitamin — and now for good reason. Statistics show that anywhere between 70-89% of sudden heart attacks transpire with males. Half of men who die due to heart attacks had zero symptoms prior to the episode. If you are a male, you’re already fighting the odds of heart disease as it’s the leading cause of death in the United States when it comes to this demographic. On average, every 1 in 4 males will die due to heart disease. So what can you do to prevent or minimize the chances of you turning into a statistic? As odd as it may seem, consuming a daily multivitamin has now been found to protect men from having a stroke or heart attack when consumed long-term. There’s actually a lot of good that comes from taking a multivitamin daily anyway when you factor in American’s poor diets and missing crucial micronutrients due to not eating enough variety of foods each day. 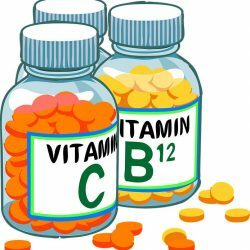 A recent Harvard study was completed which showed that when men used a daily multivitamin for at least 20 years, they had a 44% lower chance of heart attacks and stroke (cardiovascular disease) when compared to those who did not use a daily multivitamin for the same timeframe. The study didn’t have many subjects so researchers are hoping to do more studies in the future to get a clearer picture with a larger sample of the population. However, for now, long-term use of multivitamins is looking very positive. One researcher from The Journal of Nutrition was quoted saying, “although our results suggest that continuous multivitamin use over a longer duration may be significantly associated with a lower risk of major CVD, the low number of cases supporting these results indicates that they should be interpreted with caution.” Another researcher was quoted saying, “there was a relatively weak association for multivitamin use over 13 years and major cardiovascular events, a suggestion, but this was not clear cut. This was encouraging but I wouldn’t make any strong statements about it. But for long term use over a 20-year time period we saw a 44% reduction. That’s an interesting result but we did not have many men who were taking multivitamins for that long. It paints a complicated picture but there does seem to be something going on for long-term use and major CVD events.” The low number wasn’t associated with any long-term health effects due to multivitamins (which there’s no indication or studies showing long-term use has any negative side effects), it was more due to the reason of finding subjects who fit the parameters of the study. While the supplement industry has been under scrutiny lately, more research such as this study from Harvard shows that indeed supplementation is beneficial and we shouldn’t bastardize the industry over a few bad apples that pop up every once in a while.